Ladislao Padilla came to the United States 24 years ago from Guerrero, Mexico, he is the father of 3 US citizens sons and his daughter is a DACA-beneficiary. In early 2016 Ladislao received a letter saying he had an immigration appointment. When he showed up, he was taken into immigration custody and put in deportation proceedings. Even though the Georgia Immigration and Customs Enforcement (ICE) office insists that Ladislao is an “enforcement priority” for a Driving Under the Influence (DUI) charge from 9 years ago, Ladislao’s case is a perfect example of a case where prosecutorial discretion should still be considered, as outlined by ICE’s own criteria. Two of Ladislao’s sons depend on him economically, his 16-year-old lives at home and his eldest son had an accident that left him long-term damage on his arm, making it hard for him to work and provide for himself. Ladislao also supports his second eldest son and his daughter who are students in college. Without Ladislao in the country his family’s well-being and his children’s education would be in jeopardy. 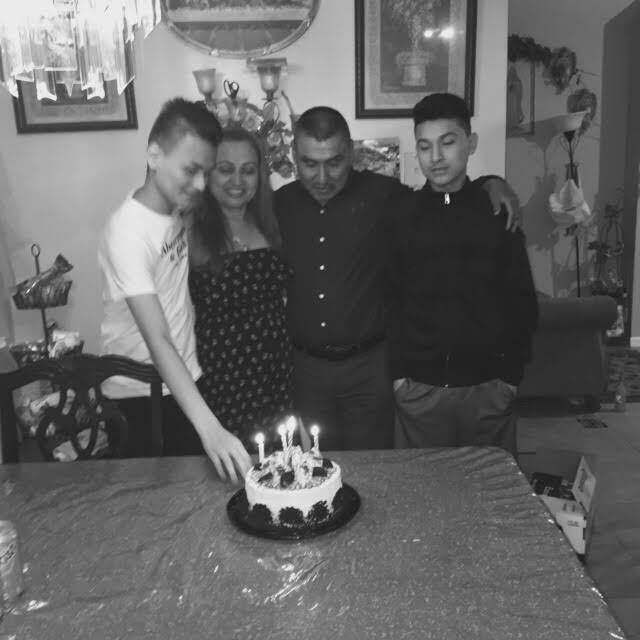 Ladislao’s safety if deported to Mexico is of great concern to his family. They worry that he will be the target of extortion if deported to a country he has not seen in over two decades. The local ICE office has refused to use prosecutorial discretion for Ladislao, even when it is clear that ICE policy shows he should be released. Please help us stop Ladislao’s deportation by signing the petition and calling ICE. Please join the Tennessee Immigrant and Refugee Rights Coalition (TIRRC) and the #Not1More campaign in urging ICE to stop Ladislao’s deportation. I am writing with great concern regarding the detention and potential deportation of Mr. Ladislao Padilla-Ochoa (A 076-301-279). Mr. Padilla-Ochoa is an immigrant in immigration detention currently requesting use of prosecutorial discretion in his deportation case. The New Orleans ICE office has denied a stay of removal, specifically citing that Mr. Padilla-Ochoa is a Priority 2(b) individual due to a “significant misdemeanor conviction.” The conviction is for DUI on November 17, 2008, after which he was placed in deportation proceedings. Mr. Padilla-Ochoa’s DUI conviction is from November 2008 — almost 8 years ago. At the time of the arrest there were no children present in the vehicle, there was no harm to any individual or property. This his only arrest of any kind. Mr. Padilla-Ochoa completed probation successfully and acknowledges that it was a mistake and has made efforts to recover. This includes completion of the Alcohol and Drug Safety Course by a facility licensed by the State of Tennessee Department of Health, “designed for education, information and awareness in preventing the misuse of alcohol and other drugs in driving and for developing individual responsibility” in December of 2008. Mr. Padilla-Ochoa has stopped drinking since his arrest. Everything from his record shows that he has fully rehabilitated since this incident and is a respected member of his community, that he has recovered, and that he is not a public safety threat. Mr. Padilla-Ochoa has a pending I-130 petition awaiting adjudication by USCIS. The petition was filed by Ms. Jenner Padilla-Ortiz, Mr. Padilla-Ochoa’s son who is a United States citizen on July 21, 2014. According to the case status update on the USCIS website, the local USCIS Memphis Field Office received the case on December 31, 2014. If the form is approved, Mr. Padilla-Ochoa would be able to adjust his status. His attorney requested an expedited adjudication from the office on February 29, 2016. Mr. Padilla-Ochoa has 3 US citizen children and one who is Deferred Action for Childhood Arrivals recipient, showed that he has deep connections to his home and is invested in his children’s education, and that he has support from his church and other community organizations. On March 9th, 2016 the Tennessee Immigrant and Refugee Rights Coalition (TIRRC) filed a second Stay of Removal application for Mr. Padilla-Ochoa in Nashville, Tennessee. I hope you consider all the facts, and the economic and emotional impact that Mr. Padilla’s deportation would have on his family. Without Mr. Padilla in the country, his children’s education and well-being is in jeopardy. On February 29th he has an appointment at the local ICE office, he fears he could be detained and deported that day. I urge you to grant Mr. Padilla’s stay of removal request and allow him to fight his case outside of detention.